When I was a kid, Kraft mac and cheese was one of the tastiest lunches. Especially since it came in so many different shapes and characters (for some reason, the fun shapes seemed to taste better to me). When I went to college, it became all about easy mac. Quick, easy, and didn’t need a stove since I only had a microwave in my dorm room. 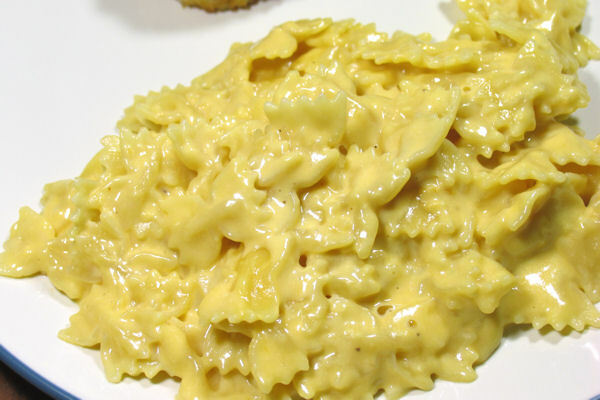 And I haven’t had it since… 6 or more years since I used powdered cheese to make mac and cheese, and I can’t say I miss it but I do miss a nice and easy stovetop macaroni and cheese. Note: Use any combination of Cheddar cheese, Monterey Jack cheese, and American cheese to total 12 ounces. In a medium bowl, whisk together the eggs, 1 cup of the evaporated milk, dry mustard, salt, and pepper; set aside. 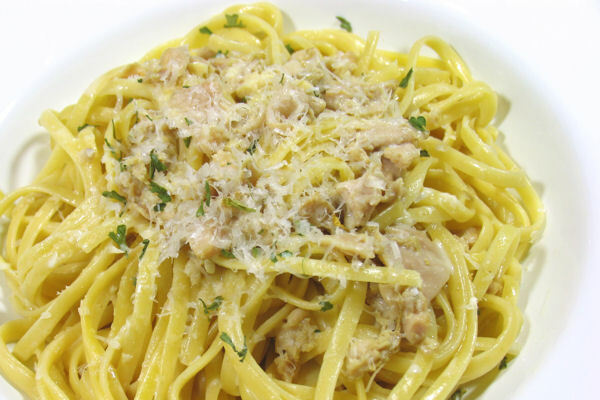 In a large pot, prepare pasta according to package directions, cooking until al dente. Drain the pasta and return to pot over low heat. Add butter and stir until completely melted. 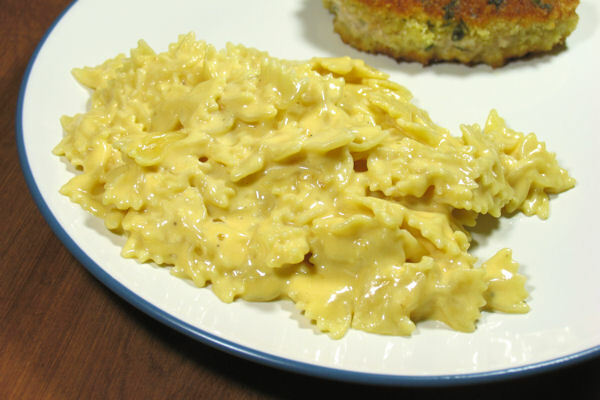 Add the egg mixture and three-quarters of the cheese mixture to the pasta; stir until cheese starts to melt. Gradually add the remaining evaporated milk and remaining cheese mixture, stirring constantly, until the mixture is hot and creamy, about 5 minutes. Serve immediately. 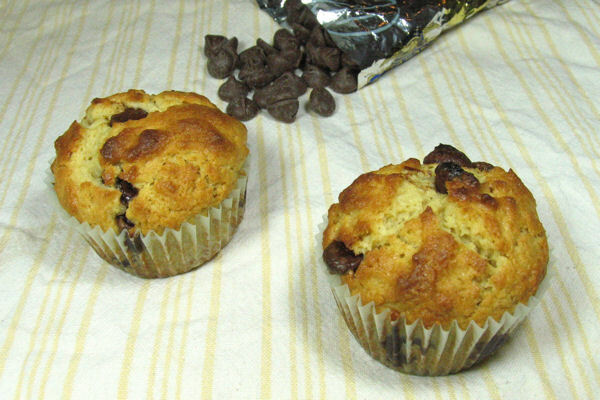 Who wants yummy muffins for a quick and easy Sunday morning breakfast or brunch? I do! You do too, right? 🙂 Then you should definitely make these, because they’re awesome. 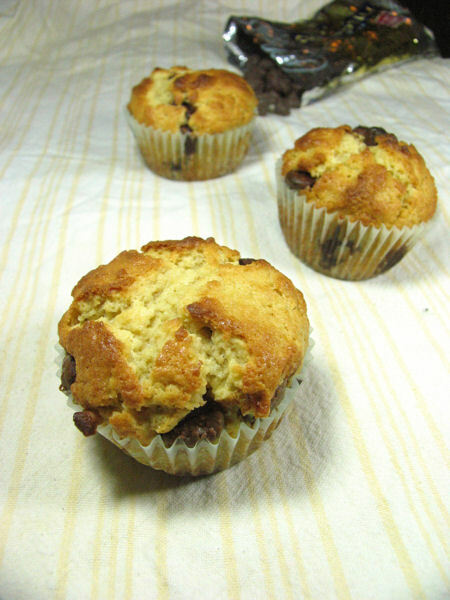 And yes, they have chocolate in them so they could be a snack or dessert, but being a muffin means breakfast!! And personally, I love making a batch of muffins over the weekend so I have breakfast for the whole week. Preheat the oven to 350 degrees F. Line 12 muffin cups with paper liners. In a large bowl, whisk together flour, sugars, baking powder, and salt; make a well in the center and set aside. In medium bowl, whisk together melted butter, eggs, milk, and vanilla, mixing until well combined. Pour into the well of the dry ingredients. Stir until ingredients are just combined; do not over mix. Fold in the chocolate chips. Evenly divide the batter in the prepared muffin pan. Bake for 15 to 18 minutes, or until a toothpick inserted into the center comes out clean. Move muffin pan to wire rack and cool for 5 minutes, then remove muffins and finish cooling on wire rack. Serve warm or at room temperature. Bring a large pot of salted water to boil. Cook pasta according to the package directions until al dente; drain well. Meanwhile, in a large skillet over medium-high heat, heat the olive oil and butter until the butter is completely melted. Add the garlic to the pan and sauté until golden and fragrant, about 1 minute. Add the reserved clam juice and wine to the pan, bring to a simmer, and reduce by about half. 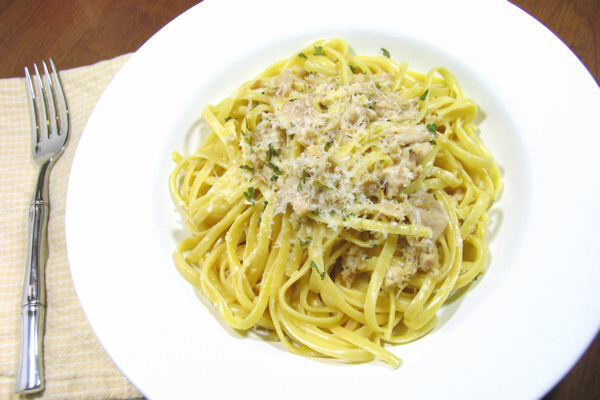 Reduce heat to medium-low and stir in the clams and cream. Season the sauce to taste with salt and pepper. Add prepared pasta to the pan and toss to coat. Serve immediately, topped with Parmesan cheese. In celebration of Mardi Gras (Fat Tuesday), I made a King Cake! It’s flavor is hard to describe, though wikipedia describes it as a sort of danish. It’s a yeast bread, filled, made into a ring, and covered with a glaze and colored sugars. Being a yeast bread and kind of like a danish makes it a suitable breakfast or dessert in my books! 🙂 Mine didn’t come out as pretty as I hoped, but at least it tasted awesome! 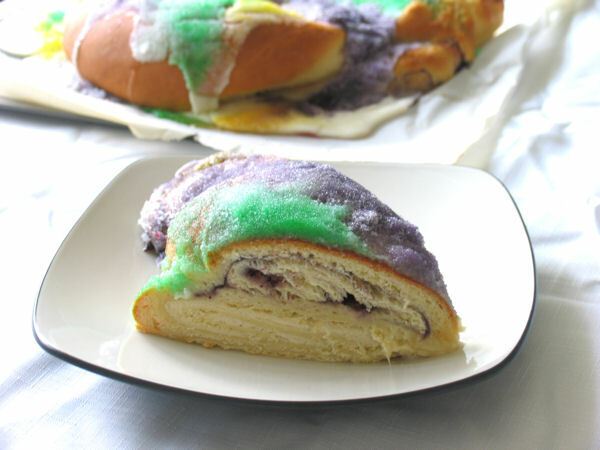 For those of you who don’t know, King Cake is part of the tradition of Mardi Gras and Carnival. A fun and festive cake for a fun and festive celebration! In New Orleans, Mardi Gras is full of floats, parades, masquerades, drunken celebration, beads, and coins. Fat Tuesdays refers to the last day before Ash Wednesday and before lent begins, when you can indulge yourself to your hearts content! I’ve been to Mardi Gras once, and I was definitely too young to appreciate it. As in, it actually kind of scared me! I wasn’t a huge fan of crowds, fireworks, loud noises… totally not a good thing in New Orleans around Mardi Gras. My family and I were in town for a family wedding, so might as well celebrate while we’re there, right? So many colors, beads, floats, and people! I at least enjoyed collecting beads from each float. I would love to go back now that I’m older, and can actually drink now (and my childhood fears have gone away)! Ever since we went, we started ordering a King Cake each year at Mardi Gras. Per our own family tradition, we would order the cream cheese-blueberry filled. It was beautiful, huge, and so delicious! Unfortunately, they started getting to expensive to ship from Louisiana out to California, so we started going without our annual King Cake. 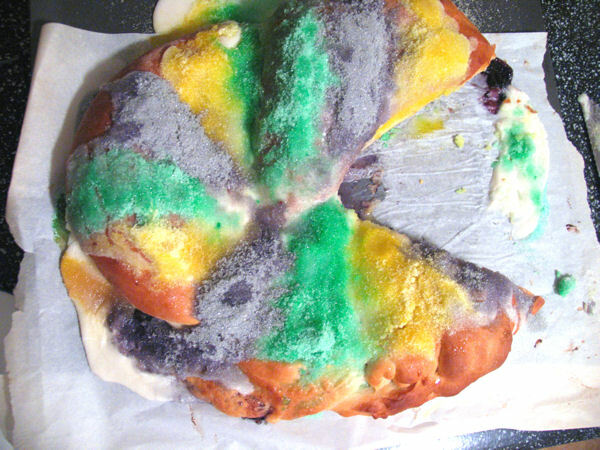 Once I went to college, I really started getting into baking and decided to try making a King Cake for the first time. It turned out great, and the shape and everything about it was just perfect. 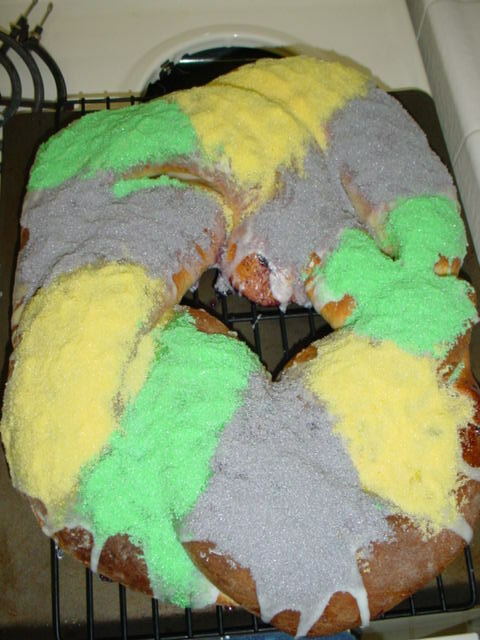 My very first homemade King Cake, from the college days! To make the cake: In a medium saucepan over low heat, combine sour cream, ⅓ cup sugar, butter, and salt. Cook until butter melts, stirring often. Set aside, and cool mixture to 100-110 degrees F.
In a 1-cup measuring cup, stir together yeast, warm water, and 1 tablespoon sugar; let stand 5 minutes. In the mixing bowl of a stand mixer fitted with the paddle attachment, beat sour cream mixture, yeast mixture, eggs, and 2 cups flour at medium speed until smooth. Reduce speed to low, and gradually add 4 to 4½ cups flour until a soft dough forms. Change to the dough hook and knead until smooth and elastic, about 10 minutes. Form dough into a ball and place in a well greased bowl, turning the dough to grease all sides. Cover and let rise in a warm place, free from drafts, 1 hour or until dough is doubled in bulk. To make cream cheese filling: In a medium bowl, beat cream cheese until smooth. Add powdered sugar, flour, vanilla, and milk and beat until creamy and smooth; set aside. To make the glaze: In a medium bowl, combine powdered sugar, butter, lemon juice, vanilla, and 2 tablespoons milk. Stir until smooth, adding additional milk 1 teaspoon at a time, until pouring consistency. To make the colored sugars: Pour ½ cup sugar into 3 separate sealable sandwich bags. Add 3 to 5 drops of food coloring to separate bags, adding red and blue to the same bag to make purple. Seal the bags and shake to distribute the color, using your fingers to break up any colored clumps of sugar; set aside. To assemble: Punch down dough, and divide in half. Roll each portion into a 30 x 9-inch rectangle. On one rectangle, spread the cream cheese filling, leaving a 1-inch border. One the other rectangle, spread the blueberry filling, leaving a 1-inch border. Roll up each dough rectangle, jelly-roll fashion, starting at 1 long side. Place dough rolls, seam side down, on a lightly greased baking sheet. Bring ends of both rolls together, and twist the two rolls to form a spiral. Shape the spiral into an oval ring, moistening and pinching edges together to seal. Cover and let rise in a warm place, free from drafts, 20 to 30 minutes or until doubled in bulk. Bake at 375 degrees F for 20 to 25 minutes, or until golden. Slightly cool cake on the pan on a wire rack, about 10 minutes. Drizzle glaze evenly over warm cake; sprinkle with colored sugars, alternating colors and forming bands. Let cool completely before serving. Source: Cake adapted from Southern Living, everything else from a source long since lost and forgotten! 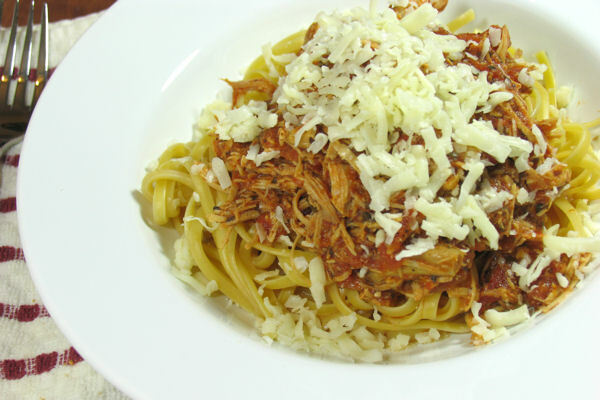 Place all ingredients in crock pot except cheeses and cook on low for 8 hours. Shred chicken with fork. 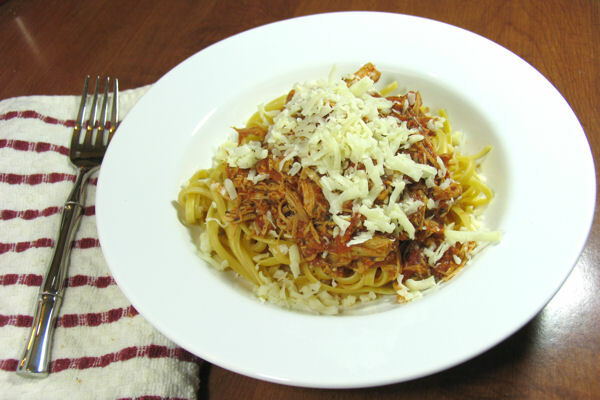 Serve over pasta of your choice; top with mozzarella and Parmesan cheese.